A little over one year ago I had this idea to start a blog in my own little corner of the internet. A blog dedicated to my dogs, and all the crazy, fun things I do with them. I wanted to show fellow pet parents my DIY projects, recipes, and share my experiences of living with, rescuing and caring for dogs. I had this small idea that has turned into something great – something bigger than I could have imagined with lots of opportunity for me and my furry family! 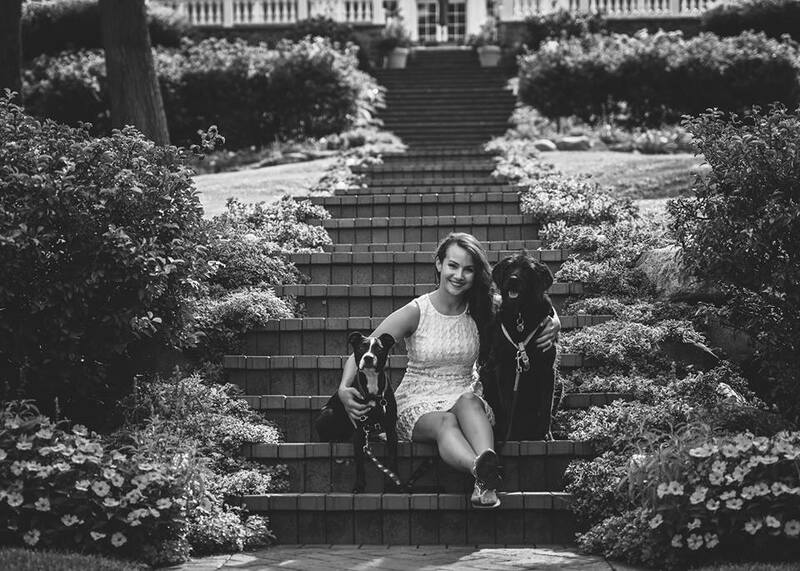 I had no idea that when I started this blog that I would connect with so many amazing dog moms, reach new pet parents, inspire others and make a little money on the side while I was doing those awesome things. This blog has grown a lot in one year and I’ve learned A LOT because of that growth. Because of that growth, I am moving onto an entirely bigger, better DIY Dog Mom! What does that mean? It means a couple things will change and a lot will stay the same. 1. A new, beautiful, faster and more comprehensive website filled with new tools, tips and info for dog moms and even aspiring dog mom bloggers! 2. A logo redesign and better branding to reflect my personality a little better! 3. Finally, the relaunch of my shop! I am so flattered every time I receive an email asking for products because my shop is currently on hold. I promise it’s coming back and I will have some awesome new items AND a give back program where a percentage will go back to a dog charity every month. Ireallywanted the shop to be done in time for the holidays but it might not happen, and that’s because I’d rather give you something 100% complete than half finished. Great content, dog themed DIY projects, recipes, ‘how-to’ and more! From now until the launch of the new site (in the next month), my blog might seem a little scarce and that’s because I am working really hard to get everything up on the new site while bringing all my current content with me. But you can subscribe to my email list to be the FIRST to know about the new site! You can also follow me for updates on social media! I want to thank the amazing readers and followers of this blog and my social media! I am so grateful to have you along for this journey! As a token of my appreciation I am giving away one of my bracelets! 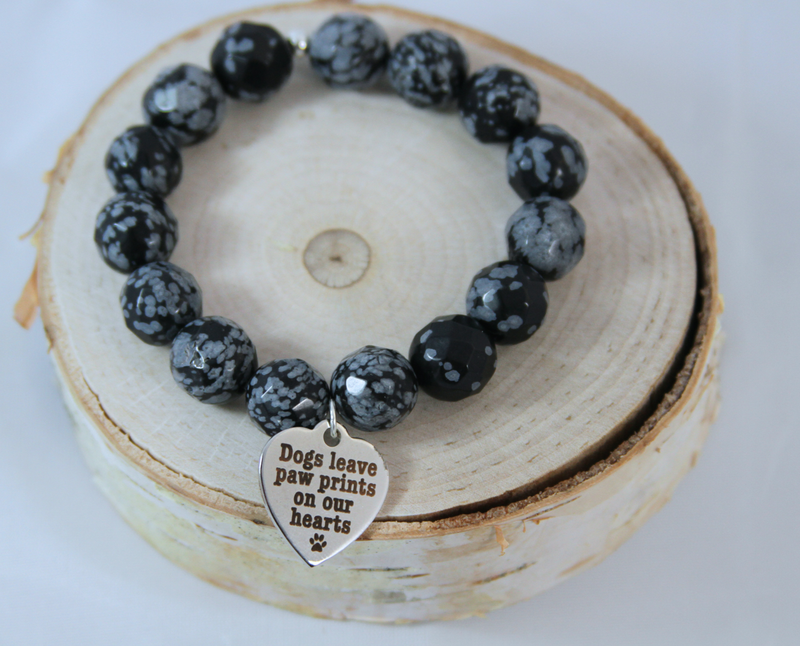 This dog mom bracelet is made with Snowflake Obsidian stone (perfect for holidays), a natural volcanic glass with healing, calming and soothing properties. Photo below! Enter to win by subscribing to The DIY Dog Mom community! Giveaway ends on November 28th at 12am. I love the new look! Those colors are perfect! It’s so, so beautiful, I’m in love :D!! Looking forward to more DIY’s! !